Figures from the Universities and Colleges Admissions Service (UCAS) this September outlined that the proportion of young people in Northern Ireland beginning university is at a five-year high. As the rate of students seeking undergraduate degrees has risen, so too has student debt. Statistics published by the Student Loans Company highlighted that in 2017/18 Northern Ireland students borrowed almost £208m in tuition fee loans and £134m in maintenance loans, a rise of over 4% on the previous year. Northern Ireland’s outstanding student debt now stands at almost £3.3bn. 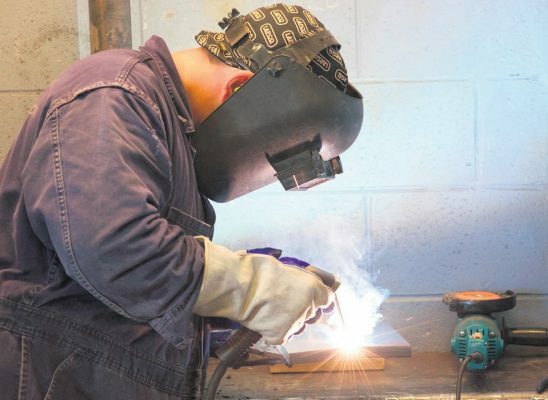 What has garnered less attention is the increasing number of school leavers across the country now signing up to a new era of higher-level apprenticeship programmes. Higher-level apprenticeships are work-based programmes which enable students to ‘earn while they learn’ and gain a nationally recognised professional qualification. Many major accountancy practices, including Grant Thornton, offer these programmes to school leavers. Over the course of two years, young people work in the office four days a week and study at a local college one day a week. Upon successful completion of the programme, students receive the Diploma for Accounting Technicians. The diploma, a QCF Level 5 award, is equivalent to a foundation degree and is an alternative entry route to a career in accountancy. Indeed, students can subsequently continue their studies towards chartered status with Chartered Accountants Ireland. This is only one example of the opportunities that an apprenticeship can present. Apprenticeships provide a real alternative to university. Young people can start their careers without the student debt of their university peers. They can gain a professional qualification without paying the cost of tuition fees, build a valuable network of contacts, and gain the skills that employers need. Such apprenticeships increase their future employability and help young people progress into management roles. Recognising the changing landscape of higher education and the value of these apprenticeships, the UK government is committed to promoting apprenticeships and improving both their quantity and quality. Such is their commitment to adding three million apprenticeships to the workforce by 2020 that in April 2017 the government introduced a new tax for large UK firms. Known as the Apprenticeship Levy, in the current tax year, it is payable by all employers with an annual pay bill of more than £3m at a rate of 0.5% of their total pay bill. It is time that the awareness of, and attitudes towards, apprenticeships change to reflect the value they represent to our society. Not only do these higher-level apprenticeships offer an ‘earn as you learn’ career progression route to our young people, they can help businesses meet their skills needs, attract a higher calibre of staff, and increase productivity. While some 9,120 students from Northern Ireland started undergraduate degrees at local universities this year, 3,840 were starting in England, Scotland and Wales. History has shown that many of these students do not return to the local workforce. There will always be a place for university degrees in our society, but it is clear that they are not the only route to securing a professional qualification. We owe it to our school leavers to educate them on the wider opportunities that exist. Talk to us about how to access your Apprenticeship Levy fund for professional development if you have staff living/working in Great Britain. For further information or advice, Hannah Carmichael can be contacted at hannah.carmichael@ie.gt.com Grant Thornton (NI) LLP specialises in audit, tax and advisory services.